The effects of drought continue to deepen across Somalia, where half the population – 6.2 million people – now face acute food insecurity. In particular, the population facing crisis or emergency (IPC Phases 3 and 4) levels of food insecurity has more than doubled in the last six months to over 2.9 million. A further 3.3 million people are classified as facing stressed food insecurity (IPC Phase 2). Two-thirds of those facing emergency and crisis food insecurity are in rural areas which have seen a huge deterioration in food security in the last six months. Levels of acute malnutrition have also risen, with children particularly vulnerable – an estimated 363,000 children are acutely malnourished, including 71,000 severely malnourished. This is especially alarming considering the magnitude of the famine that killed more than a quarter of a million Somalis just five years ago. Worst-affected communities are now again on the brink of catastrophe. Consecutive seasons of poor rainfall and low river levels have led to near total crop failures, widespread pasture and water shortages, reduced opportunities for rural employment, increasing livestock deaths, rising food prices and rapidly diminishing access to food for poor households. 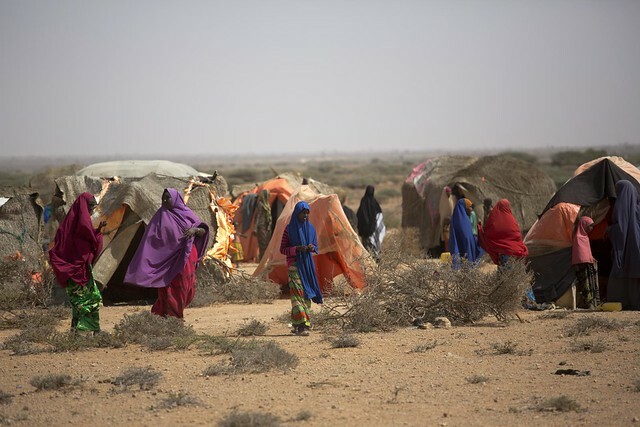 Drought has expanded from northern to southern Somalia over the past two to three seasons, hitting rural communities hardest – this is where humanitarian crises start when drought occurs. Between now and June, more widespread and accelerated depletion of livestock is expected, leading to increased pastoral destitution, a rise in household debt and distress outmigration of pastoralists and farmers to urban areas/IDP settlements. Rapid support therefore needs to focus on prevention, mitigation and response. Prevention means protecting hundreds of thousands of people from becoming victims of famine, from having to abandon their agricultural livelihoods in search of water or assistance. Much of this will be in rural areas and involves providing cash, water, food and human and animal healthcare to pastoralists, agropastoralists and farmers. Mitigation means reducing the scale of the impact on those already affected by the crisis by providing essential nutritional support, food, health and related services. And finally, the response targeting families hard hit by the crisis. Preliminary forecasts indicate below- to near-average rainfall in most of the country during the coming Gu (April-June) season, meaning a further deterioration in food security is possible as many rural households will be unable to recover their livelihoods. In a worst-case scenario where the Gu season performs poorly, purchasing power declines to levels seen in 2010/2011, and humanitarian assistance is unable or insufficient to reach populations in need, Famine (IPC Phase 5) would be expected. Without an immediate, coordinated response at scale, the risks are massive.